The GEF Small Grants Programme (SGP), implemented by United Nations Development Programme (UNDP) on behalf of the GEF Family, completed 10 years of successful operation in 2002. SGP has emphasised partnership and democracy, synergy through gender and indigenous peoples, geographical distribution, replication and sustainability. The program has also directed efforts at having an impact on national policies and donor agendas by increasing awareness of global environmental issues and communicating lessons learnt, including best practices from community based experiences. Small amount of funding makes a big difference to the livelihoods of communities and environment. UNDP GEF-SGP is currently in 70 courtiers worldwide. 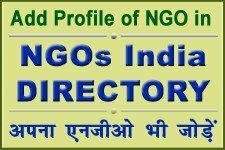 In India GEF has become the permanent public face in NGO and CBO fraternity. The programme started in India since 1996. Small Grants Programme (SGP) is administered by the UNDP and the Ministry of Environment and Forests (MoEF), Government of India (GOI). It is being implemented in India by Centre for Environment Education (CEE) as the National Host Institution (NHI) since Sept. 2000. CEE is a national level institution supported by the Ministry of Environment and Forests, Government of India as a centre of excellence, and affiliated to the Nehru Foundation for Development, Ahmedabad. Biodiversity Conservation : One of the most striking findings of the evaluation is the high degree of fit between the services and benefits provided by the SGP and the current priorities and needs in an extra ordinary variety of country context which the program operates. Under Biodiversity Conservation theme the projects will be supported that address to promote the conservation, management and sustainable use of biodiversity in eco systems (including arid and semi-arid, coastal, marine and freshwater ecosystems, forest and mountain ecosystems, etc.) species and genetic resources their sustainable use and equitable sharing of benefits arising from such use. Climate Change mitigation : Projects will contribute to removing the cultural, institutional, technical and economic barriers to energy conservation and energy efficiency and to promote the adoption of renewable energy by optimising implementation costs. Promoting sustainable transport systems. Protection of International Waters: Projects involving communities proximate to threatened water bodies and Tran boundary threats to their ecosystems. Priority is placed on the prevention and control of ecological degradation of critical habitats (such as wetlands, shallow waters, and reefs), of unsustainable use of marine resources resulting from over-fishing, excessive withdrawal of fresh water, and resource extraction. Prevention of Land degradation : These projects involve the integrated land resource management with an emphasis on issues relating to desertification, deforestation, and loss of soil fertility and enhanced livelihoods. Phasing out of Persistent Organic Pollutants (POPs) : The potential eligible activities under this focal area include community initiatives to eliminate the causes of land and marine-based sources of pollution, particularly nutrients, chemical wastes & pesticides and industrial waste dumping by promoting reuse, recycling and effective management. 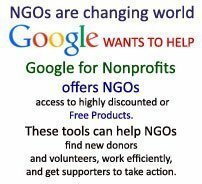 Promote innovative community based projects to reduce local environmental threats. Build local capacity to implement sustainable development strategies, creating local ownerships and institutional capabilities’. Demonstrate high reliability, co-financing and scaling-up potential. Foster public awareness on environmental issues as an integral part of the project. Address livelihood, equality and gender concerns and sensitivities. Create influence on policies at the National, State, District levels. Generate people’s participation in planning, implementing and monitoring of projects. Focus on flexible responsive and decentralised ways of working. SGP will normally consider grants up to Rs. 15 lakh for each project; In special cases, where co-financing and partnership commitments are more, higher budgets may be considered, if the project activities justify. The duration of the project may vary between 18 to 24 months. Who can submit a proposal ? Women as equal partners in programme implementation. Marginalised population and isolated tribal communities. Networking and co-financing through partner organizations. Encourage sustainability and demonstrate participation, democracy, leverage financial resources, community contribution, flexibility, partnership and transparency in their approach during implementation. The following are required to be sent along with the proposal. Annual Report, Indicative of the activities performed during the year, contributions from partners and village communities. Copy of the Registration Certificate. Organisation Structure, list of key professionals/staff and their responsibility areas. Audited financial report for last 3 years. Demonstrated capacity in implementation and management of resources. All Proposals are placed before Regional Committees for their consideration. Proposals, processed on the basis of the feedback of the Regional Committees, are placed for approval to the National Steering Committee (NSC) of SGP by the National Coordinator SGP. Decisions of the NSC are communicated to the participating organisations. CEE has its presence in all the States and Union Territories of India through a local network of 7 Regional Offices and 23 Field Offices across the country. CEE is currently implementing more than 140 different projects with a direct outreach to more than 450 villages and a population of 3,25,000 people. In SGP the emphasis is more on establishing low cost, less external inputs and easy to manage technologies by the local communities. It also encourages to create better credibility and creativity to sustain a progressive role in environment policy making. 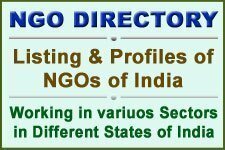 SGP takes pride in decentralized, unbiased decision making processes about grant awards under the strategic direction of a voluntary national steering committee in India. India SGP programme manages 3% of total world-wide projects with 1% of total resource allocation and nearly equal co-financing in cash and kind from multiple source.